One thing learned during in my “research” for an article on California Seasonal Beers is that there’s plenty of good ones out there, from some unlikely sources. I found it to have a lot of light roasty malt flavors, with a little vanilla, and a fruity character (plums?). Each sip ends with a noticeable piney hop presence. Not something I would have expected from the beer, and it works. It’s “wintery” all right, but has it’s own unique character. Definitely worth checking out. 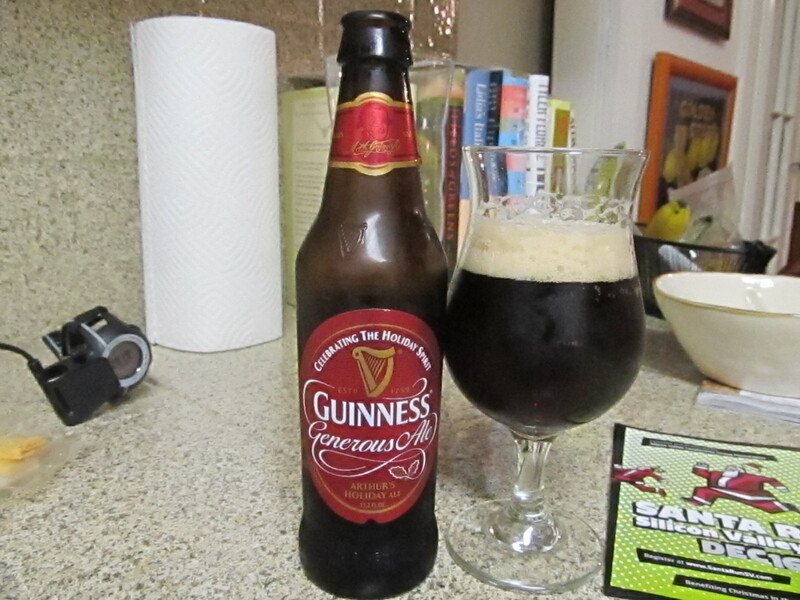 The Guinness is most favourite brand for parties and ceremony. I am also prefer when to drink with pizza. Thank you fo turning me on to this. I do like the Guiness brewery. While their US stout lacks the bite and full flavor there extra and forgein stout has it still is good. I will try this soon now. Also their black lager is not good at all.